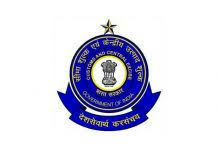 for the Posts of TIndel, Senior Deckhand, Seaman and Greaser in Marine Wing of Mangaluru Customs Commissionerate (Mangalore Customs). Closely filled offline application forms are invited from qualified and capable candidates on or before dead line. Hard working and optimistic appliers who are best fit and excited for this notice of careers they are advised to visit the official website of this recruitment agency to download the application. Required eligibility having participants must prepare for selection method in which interview is included. Salary of recruited candidates will be impressive. Sufficient highlights showing way to apply easily for Mangaluru Customs Recruitment is available in below section of article. Aspirants need to read details briefly to save from any problem to apply for offered vacancies. Aapplicants’ should apply offline latest by 13th February 2018. After that date no form will be accepted at any cost. New options of career for all appliers will be provided through Karnataka this department will be offered in the official web site that is customsmangalore.gov.in. Best of luck to all capable applicants for this golden opportunity of job!! Details about MCD jobs are given below by the web portal Now you are right now. Recruitment Process: The selection of the candidates shall be based on written examination and swimming test, which consists of jumping from the Board and swimming 100 metres. The department reserves the right to prescribe additional physical fitness tests and any other test as required. The selection of the candidates shall be subject to medical fitness / police verification. Press on “Recruitment” tab given at the menu bar of the home page. Read all the instructions carefully and completely. Enclose all the self attested copies of asked documents/ certificates. Now send it to the postal address given below by R.P.A.D./ speed post only. The envelope shall be super scribed with the words "Application for the post of _____________ and Category _______".